The epic musical returns to wow London audiences! Why See Notre Dame de Paris? First exploding onto the scene more than twenty years ago, the French musical phenomenon Notre Dame de Paris, returns to London this January for four nights only! Not to be confused with the Disney offering, Notre Dame de Paris has been on an epic world tour. Having played in over 23 countries and translated into nine different languages, Notre Dame de Paris is a true display of Victor Hugo's epic novel. A French operetta that could rival Les Miserables in grandness, Notre Dame de Paris first opened in Paris in 1998 to much critical and commercial success. Written by Luc Plamondon and composed by Richard Cocciante, the musical stole the hearts of a nation, with the synonymous 'Belle' becoming a world wide hit and selling over 2.5 million copies. 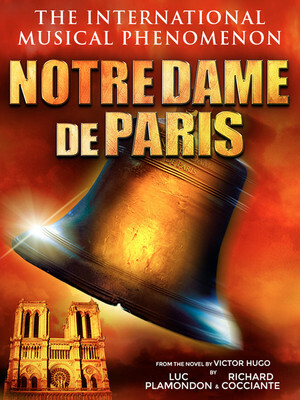 Based on the classic work by the infamous Victor Hugo, Notre Dame de Paris follows the story of outcasted Notre Dame bell ringer, Quasimodo, and his tragic love for gypsy girl Esmerelda. Seen Notre Dame de Paris? Loved it? Hated it? Sound good to you? 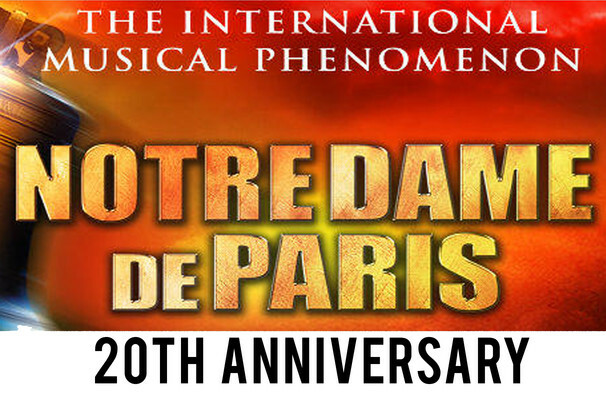 Share this page on social media and let your friends know about Notre Dame de Paris at London Coliseum. Please note: The term London Coliseum and/or Notre Dame de Paris as well as all associated graphics, logos, and/or other trademarks, tradenames or copyrights are the property of the London Coliseum and/or Notre Dame de Paris and are used herein for factual descriptive purposes only. We are in no way associated with or authorized by the London Coliseum and/or Notre Dame de Paris and neither that entity nor any of its affiliates have licensed or endorsed us to sell tickets, goods and or services in conjunction with their events.